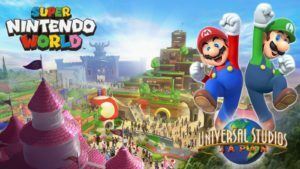 Super Nintendo World is confirmed to open in Universal Studios Japan first. No announcement has been made on when and where it will appear in Orlando, only that it will be here, eventually. Originally planned for Woody Woodpecker’s KidZone in Universal Studios Florida, the land is instead now rumored for the resorts yet-to-be built park a couple miles south of the current parks. About the Rides: Rumored attractions include a Mari Kart dark ride, Donkey Kong mine-car coaster, and a Yoshi dark ride.